This dvd is excellent for toning the arms and core while providing an exciting cardio workout. This dvd comes highly recommended for those who want to burn calories and restore the heart and muscles to great shape. 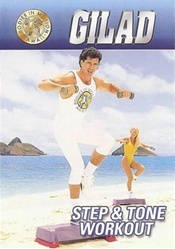 In this order I ordered The Bodies in Motion Classic Collection which includes the Step & Tone Workout, which by the way is excellent, and I ordered and extra DVD of the Step & Tone for my sister. When I looked at the bill I noticed that I was charged for the one that comes with the collection and the one for my sister, a total of $29.90 when it should have only been $14.95 for the extra one because the other was already covered with the Collection. I would appreciate a reimbursement to my account or a credit, since I plan to buy more if this is corrected. Your assistance in this matter will be greatly appreciated. I had purchased the VCR of this back in the 80's and enjoyed it very much. I recently purchased the DVD of this and started right back into my old routine, just as though the years had never passed! 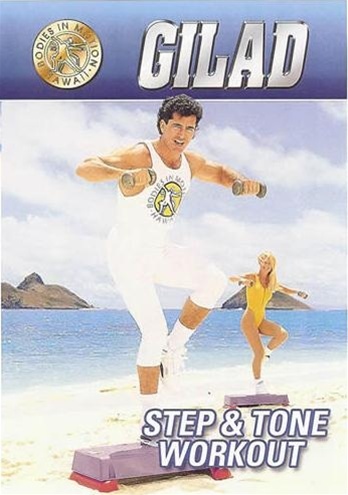 I also purchased the Step and Tone DVD as well, and between the two, am enjoying feeling my body strength and tone returning after just two short weeks! I have also shared this with friends and relatives who want great results in an in-home routine, while enjoying Hawaii scenery and Gilad's great inspiration!